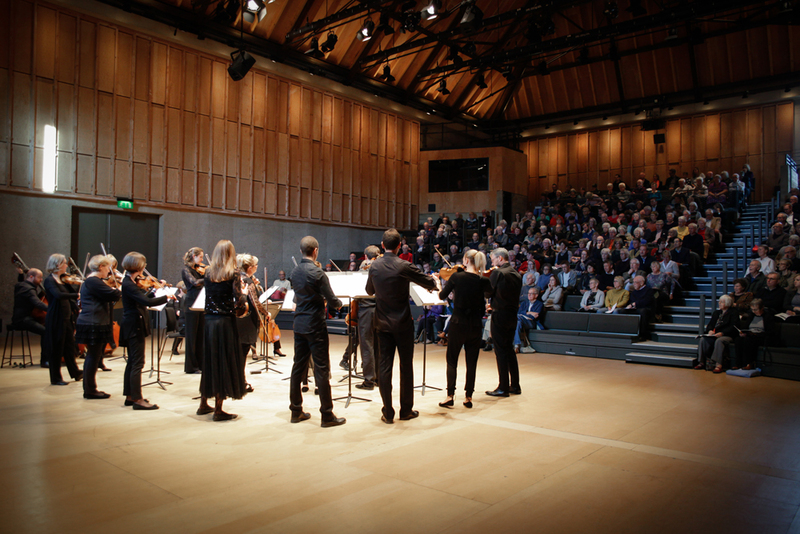 How can I begin to describe Snape Maltings? From its strange sounding name to its creative miscellany of art, music, retail and the great outdoors, it defies categorization. You simply have to go to Snape Maltings to experience this destination for yourself. 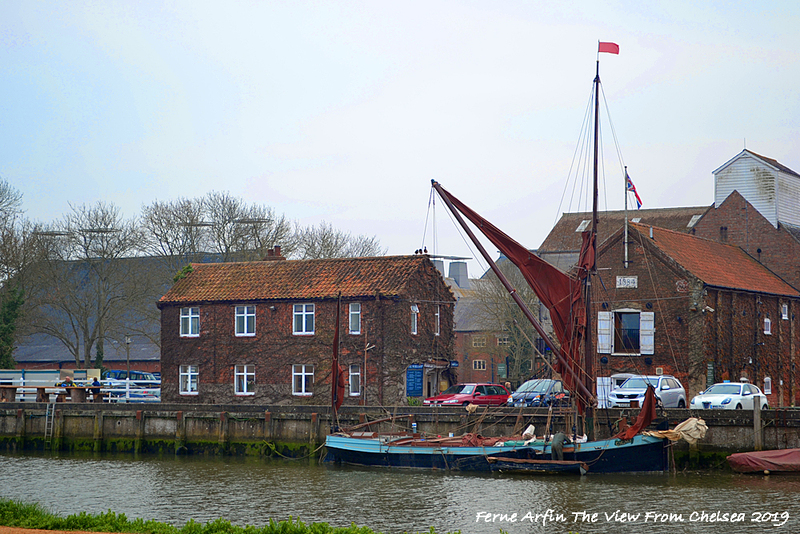 Snape, a Suffolk village of about 600 with a small port on the meandering River Alde, has existed since Roman times. In the 1800s, Victorian entrepreneur Newson Garrett built the maltings (a place where barley is malted as part of the beer making process) to take advantage of the small port in the middle of rich agricultural land, midway between the brewing centers of Norwich and London. (Garrett also built the house that ultimately became the Brudenell Hotel in Aldeburgh, and served as mayor of that town). In 1854, Garrett began malting barley at the site, eventually building up one of the largest malthouse operations in the country and certainly the largest in East Anglia. 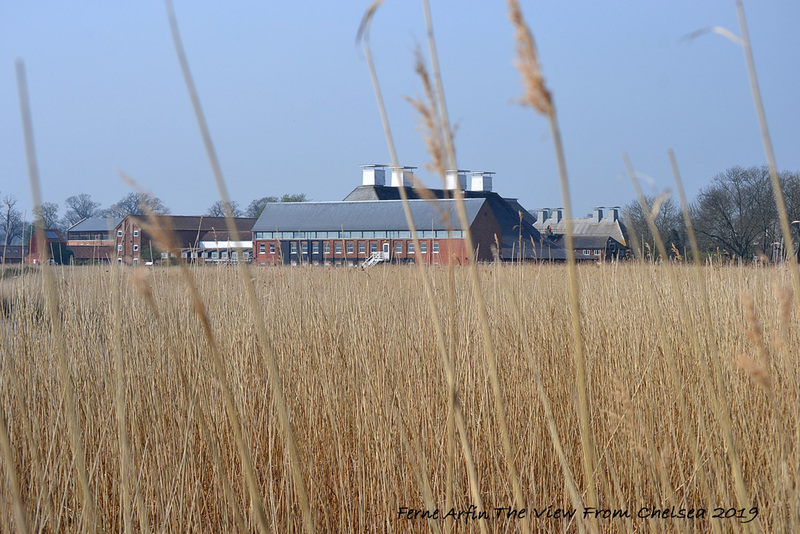 Small harbour on the river Alde was developed to serve Snape Maltings in the 19th century. Later a branch rail line, now gone, served the burgeoning operation. Seven acres of the maltings industrial brick buildings now have a new life. The maltings finally ceased operation in the 1960s, leaving about seven acres of solidly brick-built industrial buildings looking for a new use. The local family who took up the challenge of finding new uses for the buildings developed a retail complex with a variety of holiday and vacation accommodations. 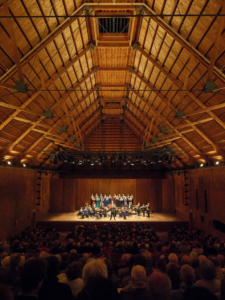 At the same time, composer Sir Benjamin Britten and his partner, tenor Sir Peter Pears were looking for bigger premises for the Aldeburgh Festival , a music festival they founded in 1948, based in the seaside town of Aldeburgh, about five miles away. They leased the site’s biggest building, the malt house itself, and developed it into an 810 seat concert venue. 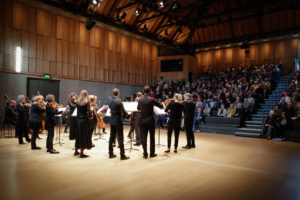 More recently, the music, retail, accommodation and arts aspects of the site have merged. The maltings, best known as the site of the Aldeburgh Music Festival, is a hugh creative campus where established musical artists and emerging talents from around the world meet, perform, learn and create. Workshops, studios, rehearsal and education spaces have all been added to the original malt house concert hall. an arts complex with galleries, studios and workshops for musicians, visual artists and other performers. 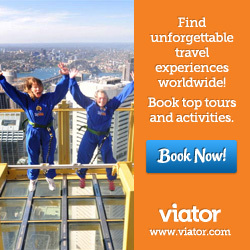 a foodie destination with several cafes and a pub, an artisan bakery, a gourmet shop. a monthly farmers market on the first Saturday morning of most months as well as special Christmas and Easter markets. an award winning, independent department store selling fashions, childrens toys and clothes, antiques and collectibles, book and cards and house&garden decor. 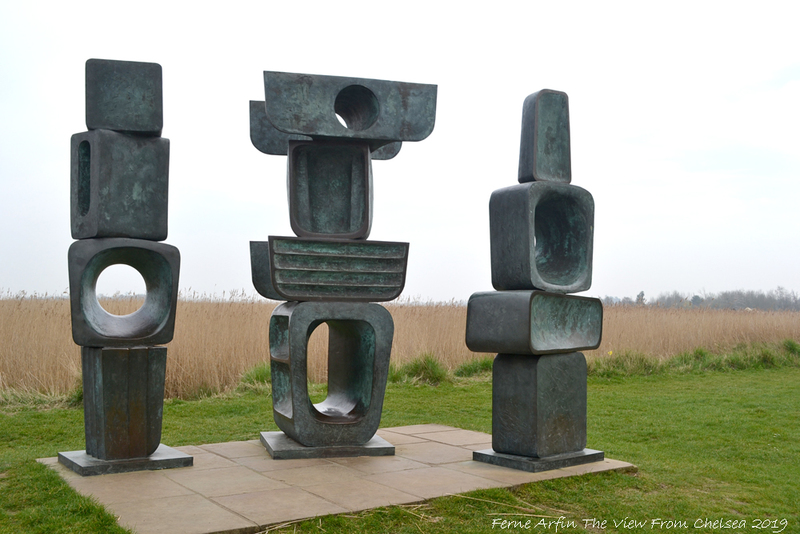 an outdoor sculpture park with works by Barbara Hepworth, Henry Moore and Alison Wilding on permanent loan, as well as changing exhibitions. 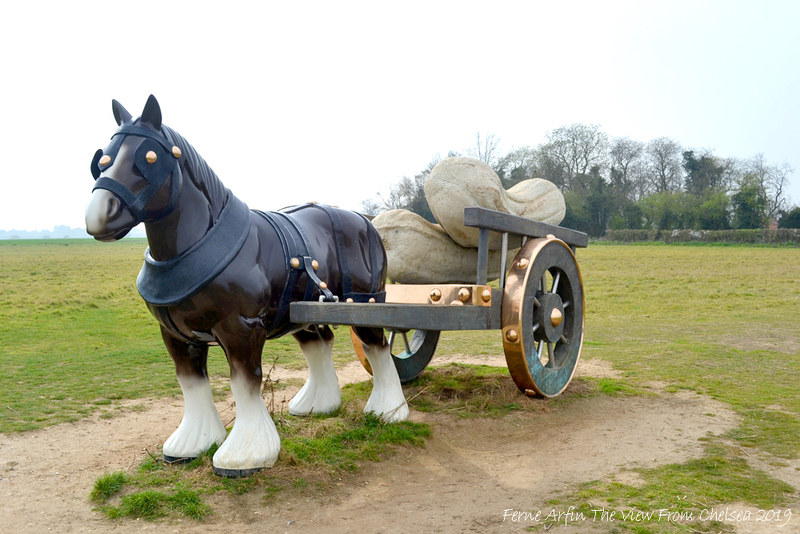 Below, figures from Barbara Hepworth’s Family of Man and Sarah Lucas’s Perceval, a giant shire horse and cart in bronze, polished brass, concrete, featured in a temporary exhibition. It’s also a place to live or to rent a vacation apartment; a nature reserve; the starting point for several marsh walks and, in summer, the launch point for river trips. It’s a very good day out and only a couple of hours by train from London. 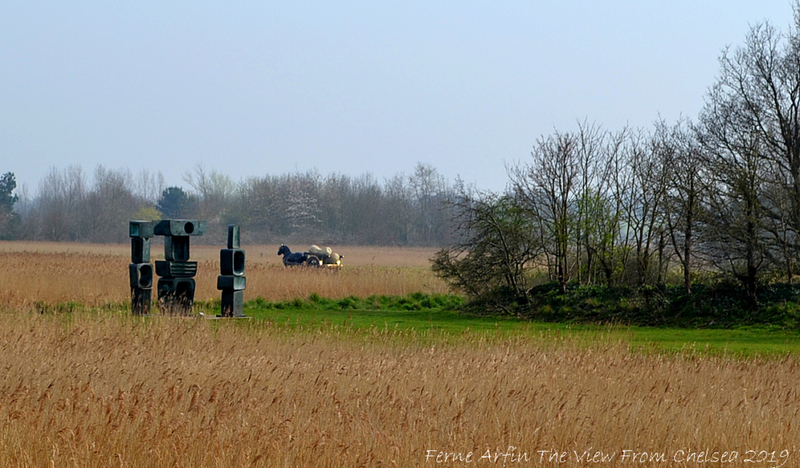 Getting there: Snape is on the B1069, about halfway between Aldeburgh and Saxmundham near the Suffolk Coast. There is frequent rail service to Saxmundham on the Norwich line from Liverpool Street Station in London. The journey takes just under two hours. 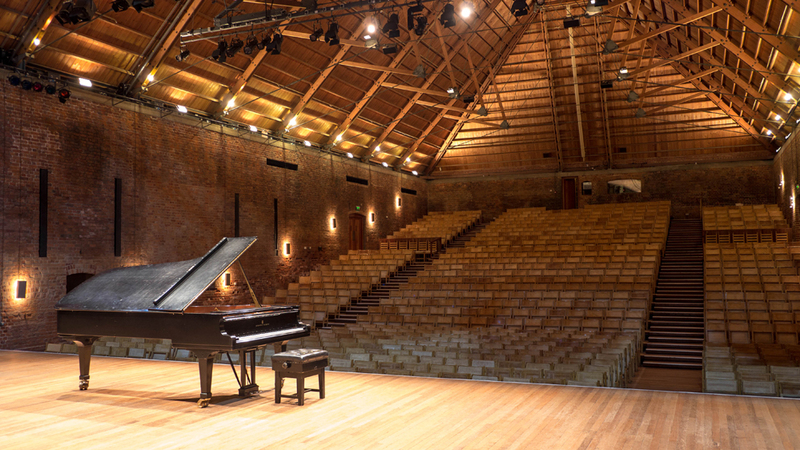 TripAdvisor readers have awarded Snape Maltings a Certificate of Excellence. See what they think and find a place to stay. As a music enthusiast, I feel I should have known about this place! Thank you so much for educating me!